You will need an existing Nichibo Account to access information from the Nichibo API. If you are unsure of your account details or need a new account please contact Nichibo NZ Support. Begin by logging into the Nichibo Control panel with your normal login details. 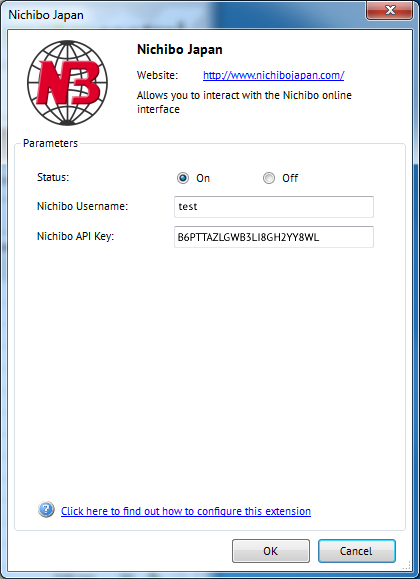 Once logged in navigate to the Tools menu and select Nichibo API Key. You will then be redirected to a page that displays your Personal API Key. 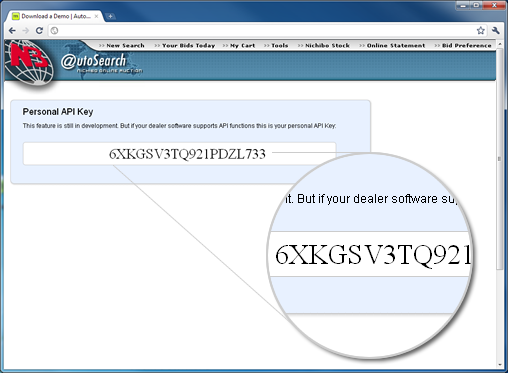 Copy (CTRL+C) and paste (CTRL+V) this key to the Nichibo API Key field within Motorcentral. 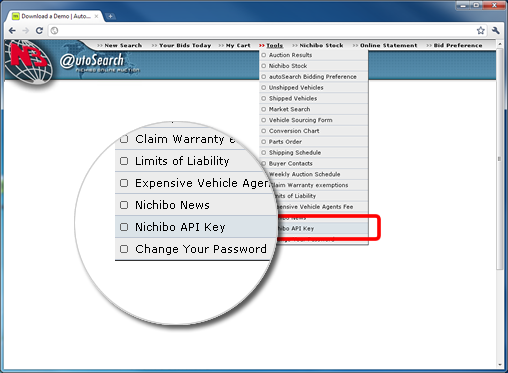 You will also need to enter your Nichibo Autosearch username into the Nichibo Username field. Select OK to save your settings. 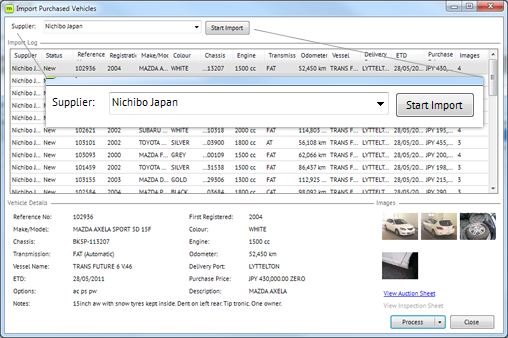 Select Nichibo Japan from the supplier list and click Start import. If you have correctly configured the Nichibo API settings your current Unshipped vehicles will then list themselves.